Here are some of the project Campus for H Inc. is working on/ worked on in the past. We’d love to hear from you! Give us your questions, feedbacks or comments (info@campus-h.com) if you have any. Ever since the Bubble Economy bursted in the early 90’s, health and well-being of Japanese working population have been deteriorated in many of the important measures. 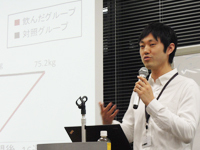 To change its course, Our Innovation Director, Dr. Ishikawa, developed a wide range of cutting-edge corporate wellness training programs, collaborating with an Olympian, ex-MLB physical trainer, zen buddhist priest and other professionals. They are quite different from ordinary health lectures, ranging from mindfulness and ergonomics to nutrition science. Please feel free to give us an email if you are interested. Benefit of mindfulness and meditation has been revalued recently by wide range of people from entrepreneurs in Silicon Valley to investment bankers in Wall Street, and mindfulness practice is becoming a big movement worldwide. 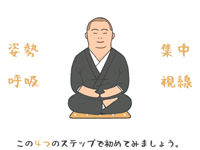 Campus for H reviewed scientific evidences of meditation and conducted an Internet-based research to understand the insights of Japanese meditation practitioners and those who are considering to start meditation practice. It’s not too easy to tell how healthy your body, mind and brain are right now compared to the perfectly healthy status. Our Innovation Director, Dr. Ishikawa, came up with a simple way to check it with only 23 questionnaires. 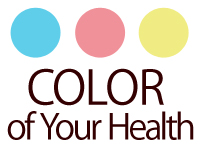 Using the algorithm, Itsuo Kobayashi, CEO of NABARU Co.,Ltd., created a smartphone website which gives you a unique “color of your health” that represents your healthiness and the balance of those 3 factors.